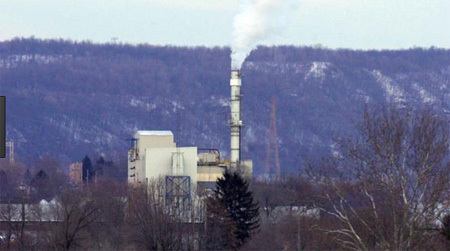 Are Albany County officials seriously considering killing us with a trash incinerator? I’m not going to mince words or beat around the bush or pull any punches here. If a garbage burning plant gets built anywhere in Albany County or in the surrounding counties, if then someone takes a rocket launcher to it or packs it full of dynamite or drops a drone laden with C4 explosives on the god damned thing and blows it to Hell where it belongs, and no one gets killed, then I will applaud, proclaim the perpetrator a hero and contribute to that person’s defense fund if caught. As far as I’m concerned, building a garbage burning plant or incinerator or pyrolysis facility or whatever you want to call it within range of where I live and breathe is a terrorist attack upon my community and upon myself. We The People have a right to defend ourselves against terrorist attacks. I don’t care if the terrorists are ideologues, religious fanatics, corporate despoilers or irresponsible politicians, a terrorist is a terrorist. I have a right to breathe the air without fear of poisoning and so does everyone else. You might wonder what exactly has got me all riled up and ranting about garbage burners like that. It seems that the Albany County Legislature is looking at the feasibility of creating a regional solid waste authority, something which other Counties in the State have done with success. The idea is to share this essential service, instead of each municipality in the County collecting trash and operating a landfill or scrambling to find ways to dispose of their trash the County government will standardize disposal and eventually standardize collection. Fine. 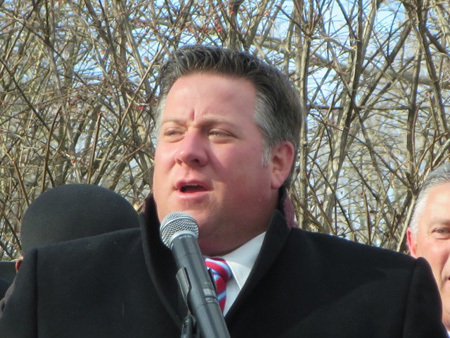 Last month the County Legislature voted unanimously to update a feasibility study they’d done in 2011 but went nowhere because of non-cooperation by the municipalities, particularly by then mayor Jerry Jennings of Albany who didn’t want to give up control of trash disposal in “His” City. But current mayor Kathy Sheehan has stated that she wants the City to “get out of the garbage business” and is looking for alternatives, so political opportunities have opened up. Again, fine. The big question is what will this new County authority do with the trash it wants to collect for us. Will it find a new location for a county-wide dump? Will it look for the cheapest dumps operated outside the region and sign a contract? Or will the authority do the unthinkable and BURN our garbage? Pollute our air? Crap in our nest? Shorten our lives? I have a generally favorable opinion of Mr. McCoy, I overcame my initial skepticism at his quick rise to the position of executive and feel that overall he’s been doing a pretty good job. But excuse me. How anyone can say with a straight face that the toxic emissions from a garbage incinerator can be better to breathe than clean fresh air... okay, that’s the kind of absurd horrible nonsense I’d expect would emanate from the White House. I’m going to give Mr. McCoy the benefit of the doubt here and assume that he was just talking off the top of his head, casually repeating a few ideas that have been floating around that he really hadn’t given much thought to yet. But what if he is not? What if he is tentatively revealing that our civic leaders really are conspiring to construct a deadly prohibitively expensive garbage incinerator right here where we live and breathe? And before those of you with short memories dismiss me as paranoid, let me remind you that such conspiring has happened numerous times. It seems that about every few years a proposal comes up in these parts. Some, like the 2013 and 2011 plans to put a so-called “pyrolysis” garbage incinerator in the Port of Albany by an outfit called Green Waste (!) turned out to be little more than that, a proposal. But earlier proposals, starting with the circa 2007 proposal were seriously backed by key elected figures. In every one of these cases the proposals were shot down by widespread community resistance, people simply did not want garbage incinerators spewing waste into the air around their neighborhoods. However, despite constant opposition from the voters, the politicians continue to be seduced by incinerator contractors into pushing the construction of these evil killers over and over. Let’s talk about Harrisburg, the capital of Pennsylvania, located just up the river from the Three Mile Island nuke plant. There are various explanations of why exactly their state of the art trash incinerator bankrupted the City, paralyzed the government and practically forced the State to take over management of the community. But all accounts agree that the cost of the incinerator, which somehow ballooned to over a billion dollars, could not possible have ever justified itself financially. 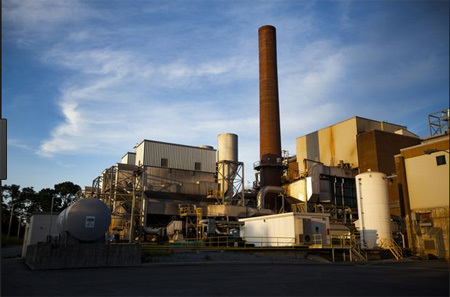 All the financial analyses of the Harrisburg incinerator point out that the politicians of the City did not want to raise taxes and make other sacrifices to solve their trash crisis. Instead, they chose to build a “state of the art” garbage burner to keep the cash pipeline flowing so they could continue paying off their supporters (to keep them loyal) and line their own pockets. This involved racking up a pile of debt which meant piling up more debt on top of that until the debt got so ridiculous there was simply no more to be found. Why yes, that could happen here. A lot can go wrong. One problem is that to justify the enormous cost of building and maintaining a burn plant it has to have a steady stream of burnable garbage. Every scrap of paper, plastic, and organic waste available in the region must be fed into the beast at a constant rate. These are all materials that should be reused, recycled, not turned into ash. A trash incinerator means the effective end of recycling. Ah, the ash. When garbage is burned it does not magically disappear into another alternative universe, it all stays right here. About one third of the volume of the garbage becomes ash, which is a polite word that refers to the densely packed toxic waste, heavy metals in particular, that falls to the bottom of the burner. This ash must be steadily removed from the facility and stored until it can be disposed of. 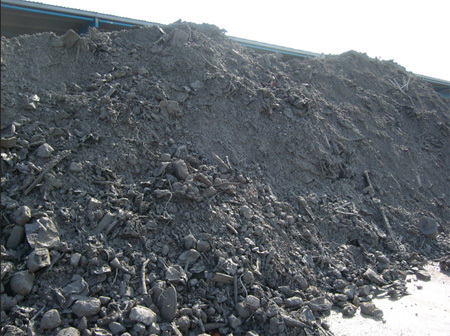 Bottom ash is sometimes mixed in with building materials such as concrete or asphalt, but despite what promoters say, most incinerator ash is thrown into a dump. Promoters of garbage burners are fond of claiming that the ash can be used for a variety of purposes such as fertilizer, but first it has to be processed and cleaned of all toxic elements. After you’ve expended the energy to do that, you’ll have an expensive product with limited applications and alongside it a concentrated pile of poison. So the claim that trash incinerators will eliminate the need for landfills (“seeing zero go back into the ground” according to Mr. McCoy) we have the opposite. There will be a requirement that toxic waste disposal facilities be maintained. Back at the end of the last century when burn plants were proposed, there was an unspoken assumption that incinerator ash would be thrown into the Rapp Road “Landfill,”, which everyone back then assumed could be expanded indefinitely across the Pine Bush. That, of course, is no longer a possibility. As for unburnable material, right now most metal trash is recycled and that will continue. But most people don’t know that because there is little or no market for glass, the glass that people so carefully separate in the City of Albany and redeem for five cents at the supermarket is ground up and used as “liner” between layers of crap at the Rapp Road Dump. This practice will continue, the glass waste will be thrown onto the new incinerator ash “landfills” and not recycled. About two thirds of the burned incinerator garbage does indeed disappear into the air, right up the smokestack and into your lungs. The visible pollution is removed from the stack, the particulates and flying ash, well, most of it as long as the “scrubbers” are kept well maintained and regularly replaced. Of course maintenance requires continual outlays of money which cuts into profits, so we really can’t rely on the scrubber technology to stay at top efficiency for very long. You know scrubbers will be neglected and allowed to become inoperative if no concerned citizens are watching. When the scrubbers do work, all that material “scrubbed” from the smokestack is added to the toxic ash that goes to the “landfill.” However, it’s what you don’t see that wafts away into the air surrounding the plant, stuff like dioxin, benzene and sulfur dioxide. When the plants are brand new these emissions are minimal, but like I said, keeping them minimal requires constant outlays of cash, and you know that will be taxpayer cash. And there’s another very important point that everyone except willful idiots understands quite well today. No variety of emissions controls has yet been invented that can remove the constant belching of carbon dioxide from the burning. Basically incinerators, including pyrolysis setups, are carbon dioxide creators. Basically incinerators are Global Warming machines. Do we really need more of these? 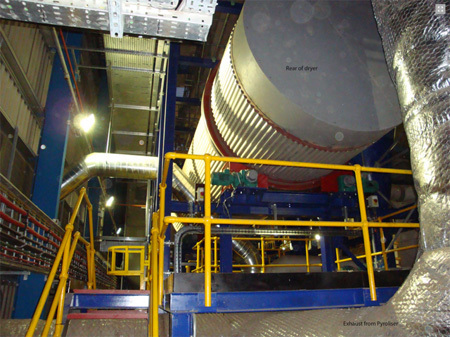 For the last ten years or so pyrolysis incinerators have been the big thing, the latest up to date high tech advanced technology which is touted as the solution to all our problems. Promoters are fond of saying that pyrolysis plants are not incinerators because the burning of the trash does not involve using oxygen. They inevitably follow that with the argument (usually delivered with a sneer of contempt because we are all too stupid to understand) that you can’t say the garbage is actually being “burned” so therefore any objections to the siting of one of these boondoggles is invalid. A fuel gas mixture consisting primarily of hydrogen, carbon monoxide, and very often some carbon dioxide. The name comes from its use as intermediates in creating synthetic natural gas and for producing ammonia or methanol. Syngas is usually a product of gasification and the main application is electricity generation. Syngas is combustible and often used as a fuel of internal combustion engines. It has less than half the energy density of natural gas. 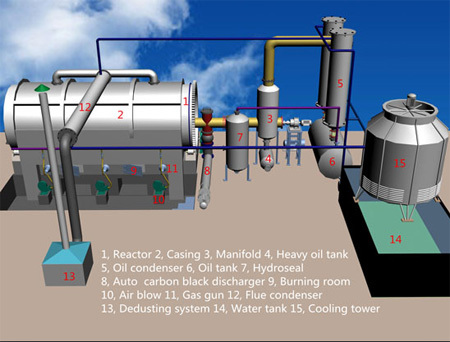 Mockup Of A Small Plastics Pyrolysis Plant, Note The Chamber Marked “Burning Room"
Most of the information about the stack emissions from pyrolysis garbage plants comes from the manufacturers of the plants, so it is all suspect. It does appear that overall emissions from the stack are significantly less than traditional incinerators. But then the syngas produced by the pyrolysis process gets burned (usually for generating electricity) so when everything is said and done at least as much carbon is released as if you just stacked up the trash and lit it with a match. Some promoters of pyrolysis call their facilities “recyclers.” They actually say that turning the burnable material into ash and gasses is converting the material into “reusable form.” Since pyrolysis does the same thing as burning, reducing material to ash and smoke, this goes beyond spin and into the realm of lying. Oh, and pyrolysis gasification requires very high heat, and the way that is done is by burning natural gas to heat up the garbage. Let me repeat that in case your eyes are starting to glaze over. Pyrolysis plants not only burn garbage, they burn natural gas to get the temperature way up, gas which these days is pipelined in from a fracking site. So you are burning natural gas to make synthetic gas. Even without adding up all the numbers it doesn’t take a rocket surgeon to see that we are getting a massive net loss of energy here. It’s one thing to hook up a generator to an inefficient burn plant, using some of the energy that is being wasted anyway. It’s another thing to end recycling, burn natural gas, produce air pollution and toxic ash AND go deep into debt just to generate a little bit of electricity. Power generation is a really lousy argument but that’s the one you hear the most. One of the recurring oddball arguments in favor of burning garbage is that garbage dumps (“landfills”) are themselves significant producers of pollution. 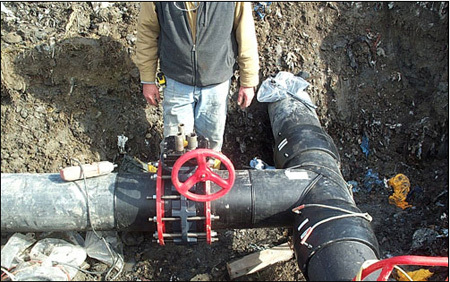 Using liners and layering the garbage slows but does not stop pollution into groundwater and waterways. At the same time the anaerobic bacteria inside the dumps produce copious amounts of methane (natural gas) and generate quite a bit of carbon dioxide. The Colonie and the City of Albany dumps have reportedly had good success collecting some of the methane and using it for electricity generation, which nets both municipalities a small profit. According to the Environmental Protection Agency (EPA) these operations manage to capture between 60% and 90% of the methane produced by the dump. This depends on the efficiency of the collection operation and on how the “landfill” is managed. But one thing that rarely gets talked about is that sooner or later these garbage dumps are going to be mined. In places like Central Asia and Africa, poor people spend their days digging through enormous landfills that were sited during more stable and prosperous times, looking for materials that they can sell. You can’t mine a toxic ash dump. It is quite possible that in the foreseeable future as people get desperate this might be the fate of our local dumps, but there is another more likely possibility. My fear is that a garbage burning plant will be sited next to the City of Albany Dump and the dump will be mined for material that will be burned. The material that can’t be burned, much of which ended up there because it couldn’t be recycled, will be thrown into a new pile along with the ash generated by the burner. Such a plan could justify the enormous cost of a burner by providing a constant diet of material, and eventually it would reduce the size of the dumps. I asked City of Albany mayor Kathy Sheehan about this possibility of using a “state of the art” garbage burner to eat the Rapp Road Dump. She replied that this was unlikely to ever happen because there were too many practical and technical problems with burning landfill waste. But that was four years ago when she was running for the office of mayor, who knows what any of our elected officials in the County might choose to try today. 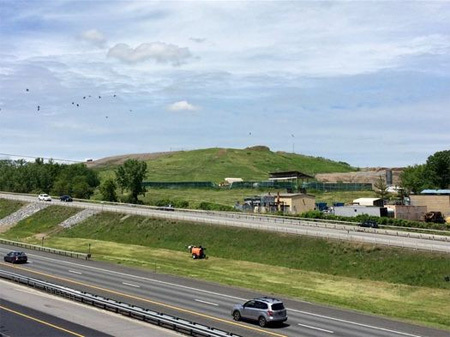 Currently there are only two landfills operating in Albany County, the Town of Colonie Landfill on New Loudon Road in Cohoes which is visible from the Mohawk River, and the City of Albany’s Rapp Road “Landfill,” the notorious mountain in the Pine Bush that greets visitors traveling on the Thruway. 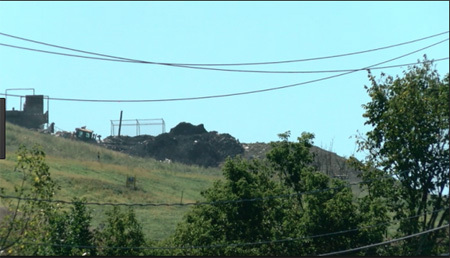 The rest of the municipalities in Albany County either contract with one of these two dumps or truck their waste out of the region, usually to the western part of the State. Both of these dumps operate in the black and bring in revenue for their municipalities, but to do so they accept waste from well outside the region. Incinerator ash, industrial sludge and the muck from sewage treatment plant processing routinely shows up in the “waste stream” that the two dumps accept. 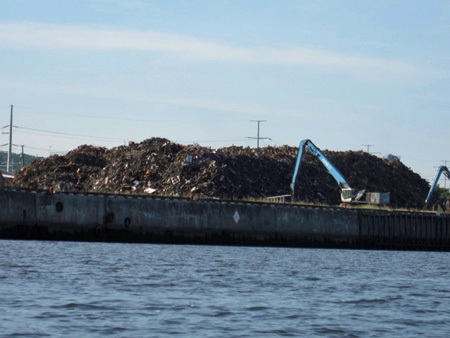 Most of the material in these dumps is imported, for example in any given year no more than 12% of the waste that goes into the Rapp Road Dump actually comes from the City of Albany. 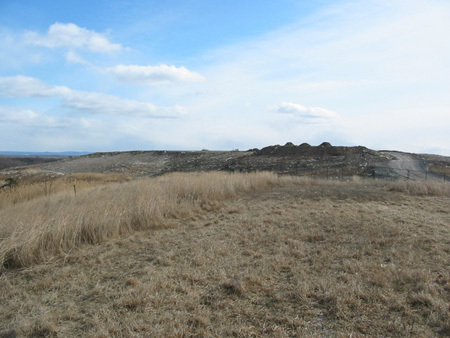 The governments of both Colonie and the City of Albany have in the past resisted calls to close their dumps because of the positive revenue streams but there is pressure not only from the State to limit the amount of material they accept but also resistance from their own citizens who do not want to see either dump expanded. (The Rapp Road Dump is scheduled to close in January 2023.) 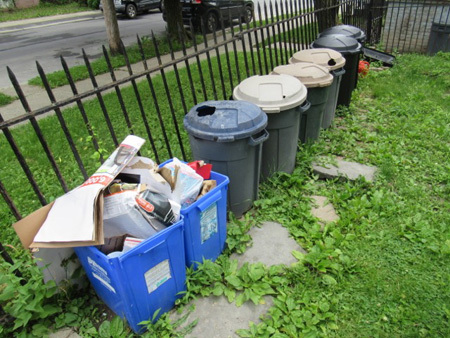 A recent move by the City government in Albany requiring people to pay for their own trash removal continues to be fraught with peril, both the political kind and the hazardous polluting kind. People in Albany have forgotten that “free” trash pickup paid for with property taxes was instituted primarily to clean up the City and make it safer. Oldtimers recall when basements and alleyways and backyards and ravines were loaded with garbage, particularly in the poorer sections of town. Among other things this created a constant health and fire hazard. In effect, “free” pickup is a necessary subsidy for low income people in a City where at least a third of the population can be classified as low income. Supposedly the Rapp Road “Landfill” is a business operation that generates a profit and makes “free” trash pickup possible. But there are hidden costs to this business model that have never been clearly laid out for the public. And it is no secret that the supposed profit from the dump is used to balance the City’s general budget, this has been known since the last mayor’s administration. Mayor Sheehan’s politically disastrous and unfairly applied garbage tax underlines this point. It is clear that we need to open up discussion of the trash crisis in the City of Albany and in Albany County, the way to do that is to expose the true accounting of costs to public scrutiny. But one thing that ought to be off the table with no discussion is garbage burning plants, pyrolysis or whatever. Let us hope that our elected officials get smart enough to retreat from this possibility before we need to fight back.